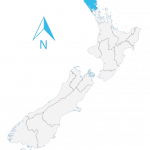 New Zealand’s northernmost region is home to around 150,000 people. 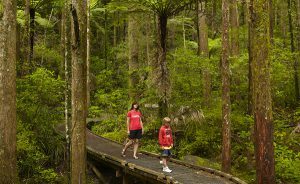 A modest job market but an attractive lifestyle make Northland an interesting option for skilled workers in the primary sector or tourism. The Northland Region (Māori: Te Tai Tokerau, also Te Hiku-o-te-Ika, “the Tail of the Fish” (of Maui)) is located at the northernmost part of New Zealand north island. The “winterless” north, as it is often referred to locally, has a sub-tropical climate with warm, humid summers and mild, wet winters. A predominantly rural region, Northland is believed by the Māori to be the birthplace of the country. Legends tells that the region was once a huge fish, caught by the adventurer Māui. Northland was also the birthplace for the modern nation of New Zealand. Early traders and whalers were amongst the first arrivals, soon joined by many colonisers. So much so that Kerikeri in the Bay of Islands boast the honor of being the first permanent European settlement in New Zealand. New Zealand’s founding document, the Treaty of Waitangi -between the Māori tribes and the British Crown- was signed at the nearby town of Waitangi on 6 February 1840. From its north tip, Cape Reinga, to the outskirts of North Auckland, Northland covers a little of 5% New Zealand and is home to 150,000 inhabitants. With main cities Whangarei and Kerikeri, highlights include picturesque Cape Reinga/Te Rerenga Wairua which, according to Māori mythology, is the location from where that the souls of the dead depart on their journey to the afterlife. 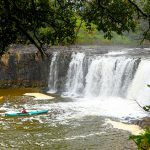 More adventurous travelers will want to hike up endless-looking Ninety-mile beach or around the beautiful Bay of Islands -a marine paradise of 144 islands. 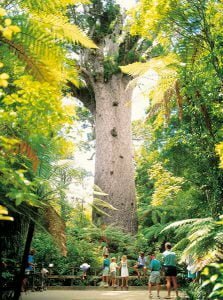 Green landscapes are also very present with nature reserves down the Kauri coast & Hokianga, which is home to vast kauri (native trees) forests. Northland jobs opportunities lie in the main industries in Northland: agriculture, fishing, forestry, and horticulture. Most New Zealand citruses grow here, as well as avocados and kumaras. Over two thirds of the land is used for pastoral farming while the region’s tourism industry accounts for more than the national average. The wood and paper industries are also strong.